If you've gotten past Knight Artorias, you may think you've got this one down, but Manus makes you work to finish the Dark Souls DLC. He's got no big weakness, and he's a fast boss in a small arena, so there's never enough room. 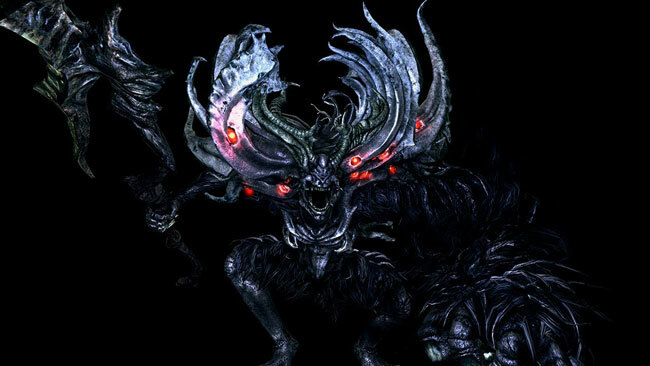 Speaking of hard to avoid, Manus also employs dark magic attacks, and they're both hard to avoid and crazy powerful. He has some crazy long combo strings, and he also has the most health of any boss in Dark Souls.